Not too long ago, I had a hankering for baked goods that tasted like green tea. I tossed some matcha powder in my pancake mix. It was tasty! (I even had ideas for matcha crepes and matcha souffles but have not found the time to try them out.) 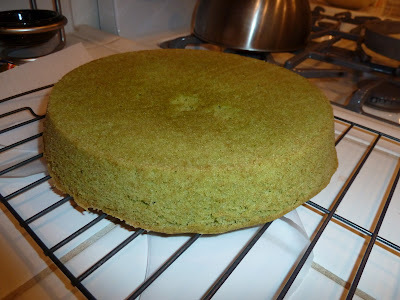 I then branched out and made a whole cake with matcha. I've had people ask me what matcha tastes like. Well. It tastes like green tea, because it's pulverized green tea leaves. If you don't know what to expect, go to a Chinese, Japanese, or Thai restaurant and get a scoop of green tea ice cream. It's sort of, well for lack of a better word, green. In ice cream, it's sweet, and creamy, not too different from pistachio ice cream, save the nuttiness. You know that "green" is a slightly generic term for something vegetal and fresh. It's refreshing and interesting. I tell people they just have to try it to know what I mean. A while back, I bought a few different matcha blends from Teanobi. I've been very happy with them and recommend them. The latte blend is what I use in my green tea lattes. Yes, I have noticed slight differences in the different blends. If you aren't sure which blend you like, Teanobi offers a 10g sample size of each blend. 1. Combine flour, salt, baking powder, and matcha. Sift well. Set aside. 2. 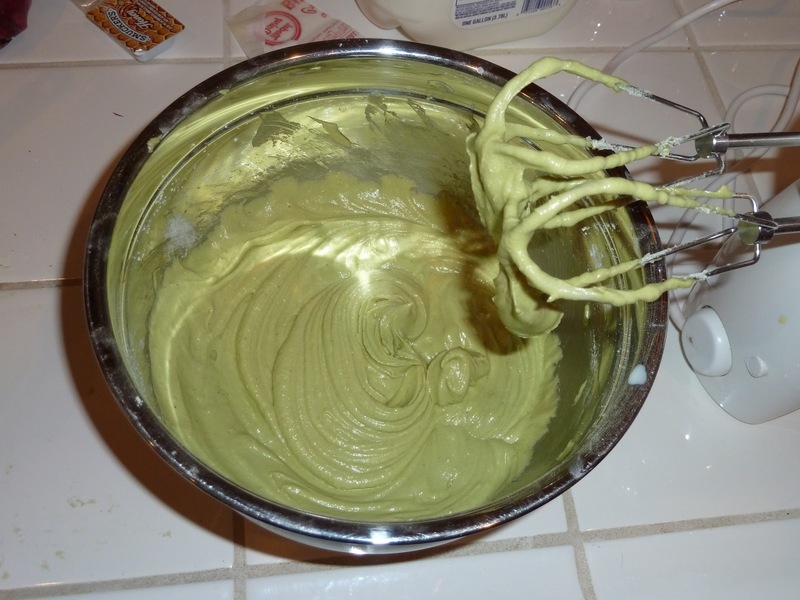 Using an electric mixer, cream together the butter and sugar until smooth. 3. Add egg and vanilla to butter-sugar mixture. Beat until blended well. 4. Alternate adding flour mixture and milk to the mixing bowl (use about a third of each), followed by mixing well until all incorporated. Repeat two more times until everything is mixed well. 5. 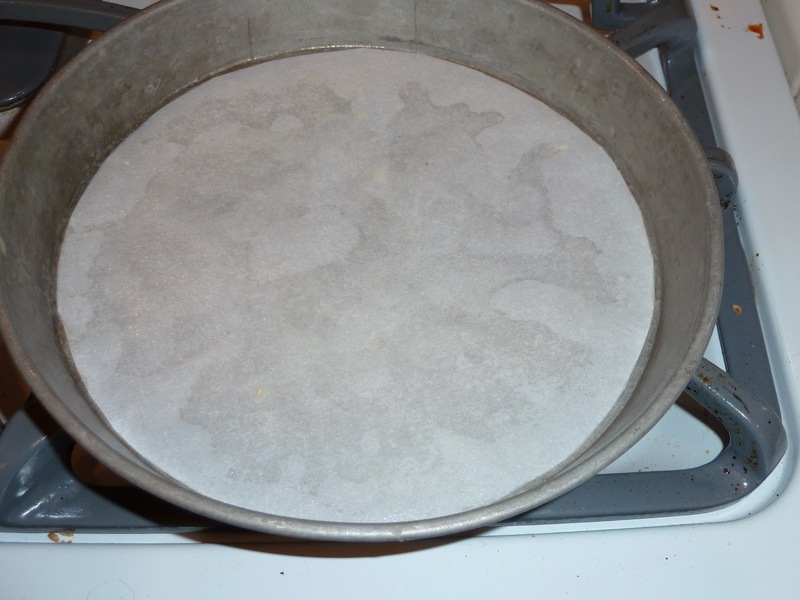 Pour into a 9" round cake pan that has been lined with parchment paper and greased or sprayed with nonstick spray. Smooth out the top of the batter. 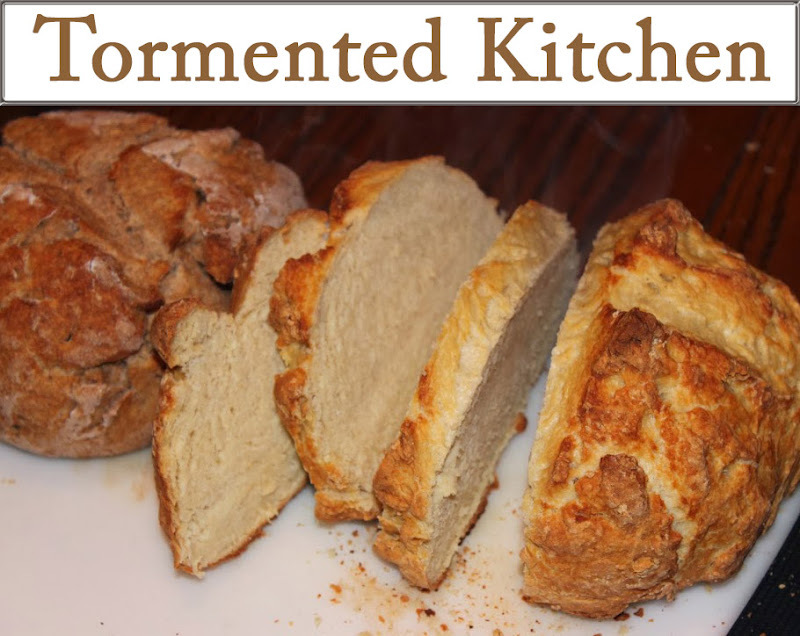 This will give you a better finish on the cooked cake. 6. Bake at 350F for about 25 minutes. It should pass a toothpick test. I carefully watched it until the last few minutes. In high altitude, this cake will deflate if you poke it with a toothpick too soon. I like to jiggle the pan a tiny bit to see how well the center has set and then gauge if I dare poke it or not. Watch you don't overcook it because the edges will begin to brown and shrink when it has gone for too long. 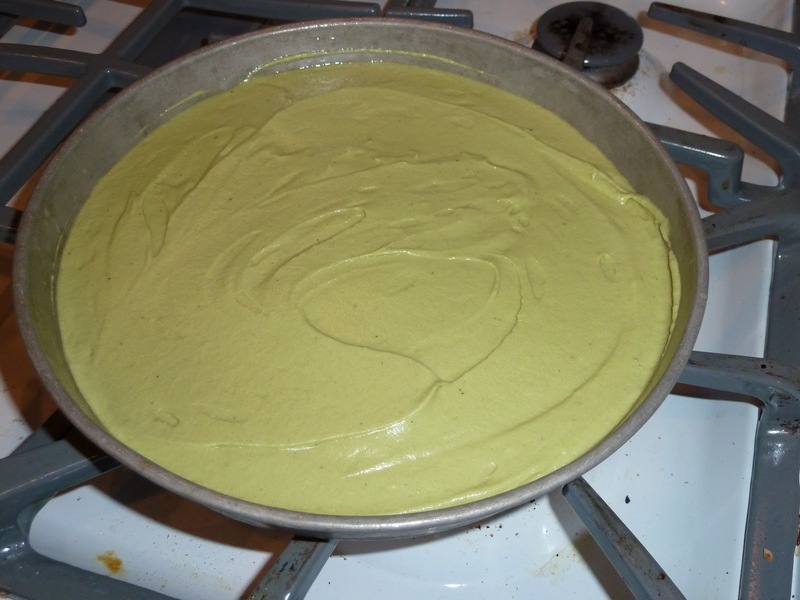 I like to use light-colored aluminum pan for cakes like this. Dark pans will cook the edges too fast and leave the center wet and raw. 7. Cool on the rack about 10 minutes before inverting and removing the pan to finish cooling. 8. For this cake, I frosted in with my basic vanilla buttercream frosting and topped it with some pure white rolled fondant. (I was in the mood to try out fondant that day!) 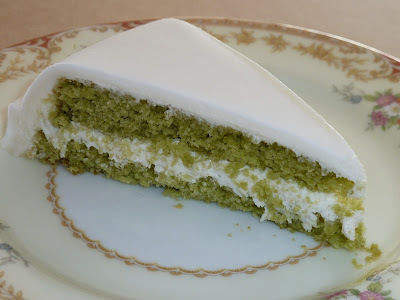 The contrast of the green cake and white frosting was very pretty!